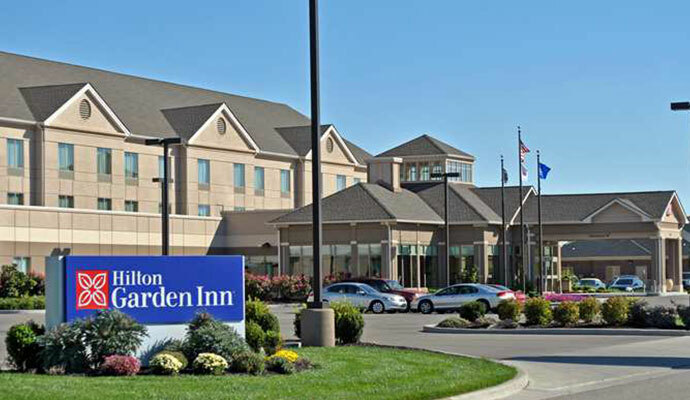 Hilton Garden Inn Evansville is a 112-room hotel located 15 minutes from downtown Evansville, Indiana. Evansville is the largest city in the region and the third largest in the state. Situated on the edge of Eagle Lake, the hotel is close to numerous local attractions, shops and entertainment venues. The hotel features complimentary Wi-Fi and a 24-hour business center, a fitness center, an indoor pool with a whirlpool, and a full-service restaurant on the property serving breakfast and dinner. This Hilton Garden Inn also offers two flexible meeting rooms, ideal for hosting an event for between 15 and 60 people. The meeting spaces accommodate a variety of seating arrangements for small conferences or banquets.